the NEW project is a choreographic strategy/system/framework that works towards collective instant composition. It is a transparent space for real-time experimentation using bodies and objects in a constantly renewing interconnected exchange. Luigi and Haydn are developing a performance practice that sits between contemporary dance and visual arts. This photographic series is an outcome of shared studio time in 2018. Haydn is an interdisciplinary visual artist whose studio practices find resolution in performances and installations. Through use of the body and found objects he explores intersections of sexuality, suburbia and psychedelia. The light of movement and sound. LOMAS is a 4 hour performance installation that seeks the interconnectedness of light, movement and sound. This multidisciplinary encounter took place out front of the Geelong Town Hall. Live sound-scape construction, contemporary movement and light manipulation met in real-time to offer a raw and revealing exchange of Luigi and Andy’s diverse practices. Projections and shadows were cast onto the Town Hall and viewers were welcomed to interact with the project. Luigi and Andy challenged themselves to explore the possibility of each element dictating the others, thereby determining the overall composition. This approach animated each element, opening up consideration for how they might like to exist and interact with eachother, the space and passers by. LOMAS was commissioned to be a part of Geelong After Dark, a one night festival in the City of Greater Geelong on the 5th of May 2017. This project was supported by Diversitat, The City of Greater Geelong and Dancehouse, Melbourne. "Chunky Move Artistic Director Anouk van Dijk joins forces with internationally renowned multimedia artist Ho Tzu Nyen to explore the role of clouds as ethereal influences that disturb or heighten human existence." Chunky Move. Luigi collaborated and performed in this work, co-produced by Malthouse Theatre for Asia TOPA Festival and Dance Massive 2017. This project brought together an exceptional team of creatives including Jethro Woodward (sound), Harriet Oxley (costume), Paul Jackson (lighting), and the performers: Tara Jade Samaya, Niharika Senapati, James Batchelor, Marlo Benjamin, Sarah Ronnie Bruce and Luigi Vescio. Luigi co-created and performed in Portuguese director Rafael Alvarez' latest work with Mariana Tengner Barros (PT), Ana Rocha (PT) and Youngjun Shin (Korea). Over a four month period in Lisbon, these creatives exchanged and invested to create a profound experience for their premier at Culturgest on the 11th and 12th November. In Faces, documents from the First World War’s Western Front are brought into a physical yet translucent world of overlapping images. Time is expanded and warped in this unpredictable space, as anonymous bodies and faces appear in and out of focus. We are reminded of the uncertainty of war and its traces as we are left to contemplate a distant yet ever present memory and its place in the modern world. Presented in May 2016 at the Canberra Theatre Centre. The Delta Project's latest work challenges what it is to listen and be heard. Comprised of deaf and hearing artists, this groundbreaking company uses Auslan and English with dance as a universal communicator. This was a collaborative project between Lina Limosani and Jo Dunbar (co-directors) , Anna Seymour, Elvin Lam, Amanda Lever, Luigi Vescio, new media artist Rhian Hinkley, lighting designer Richard Vabre and sound designer Russell Goldsmith. ​Presented in May at Next Wave Festival 2016 in association with Arts House and Arts Access Victoria. This three hour installation features a negotiation of weight between body and object. In Enterprise Park, the process of searching for, ordering, manipulating and combining objects becomes the setting for an auto-mythology, a seduction of the self. Presented in March 2016 as part of Art Not Apart Festival, Canberra. "The dancers test and alter a strong force field they have set up amongst each other, gradually deconstructing and dismantling the movement score. Rule of Thirds promises, and delivers, guts, virtuosity and focused abandon." Chunky Move. The third part of Anouk van Dijk's acclaimed Embodiment Series; Rule of Thirds had its Melbourne premier in February 2016 and toured regional Victoria in April 2017. Three performers engage in a mesmerising physical conversation about how and why we collect.​ This new short work was commissioned for Lucy Guerin Inc’s Pieces for Small Spaces in December, 2015. Luigi joined Tasdance for their Affinity season, celebrating 18 years of directorship by the exceptional Annie Greig. This double-bill presented new works by Stephanie Lake, The Howl, and Graeme Murphy AO, The Time Together. Performed with live accompaniment by the Tasmanian Symphony Orchestra, it was an honour to be a part of such an exemplary program. This production was presented to acclaim in Hobart and Launceston last October. As the sun sets over a dusty city thoroughfare, the nuances of simultaneous realities and overlooked encounters are brought to light. 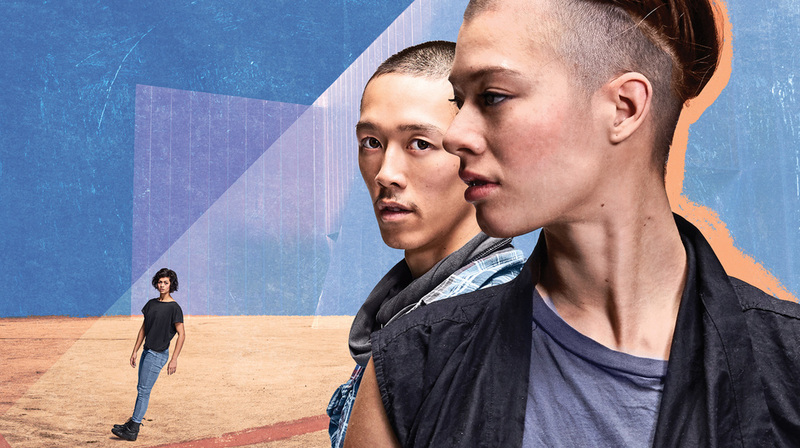 Luigi worked with Chunky Move on Depth of Field for Dance Massive 2015, co-produced by Malthouse Theatre. He worked closely with artistic director, Anouk van Dijk, as both her assistant and a performer in the show. Making his debut with the company in this project, Luigi looks forward to continuing his relationship with this first class organisation. One Actor. One Accordionist. 12 Skaters. Teorema departs from the book and film of the same name by iconic Italian writer/director, Pier Paolo Pasolini, and arrives somewhere in contemporary dystopia. Luigi worked as a choreographic collaborator to Portuguese theatre director, John Romão, to create this unsettling sensory encounter. Luigi was thrilled to work in Portugal with John, a creative visionary who creates such challenging and gripping theatre. 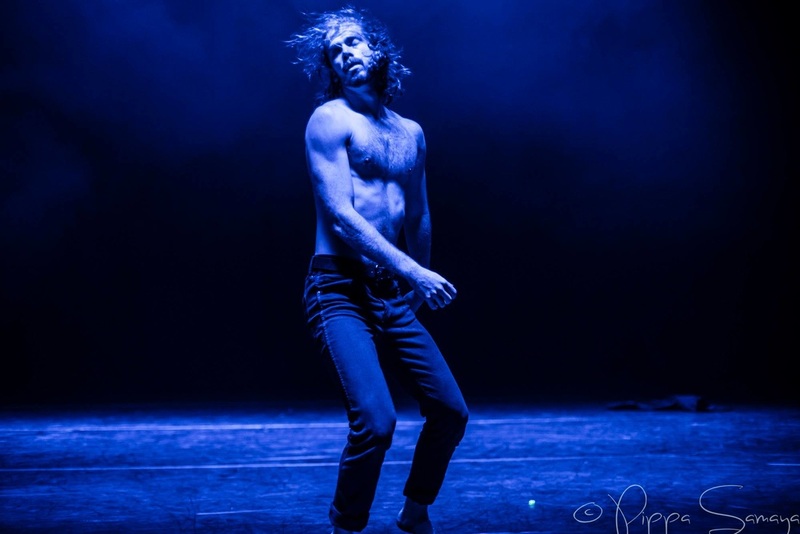 ​The production premiered in Porto to a sell-out crowd at O Rivoli Já Dança Festival 2014. It was also presented in Lisbon and Guimarães later that year. Straight Laced explores the pressures of sensuality and sexuality in a predominantly heterosexual society. 'Don't make me choose and don't lace my sexuality with your views.' 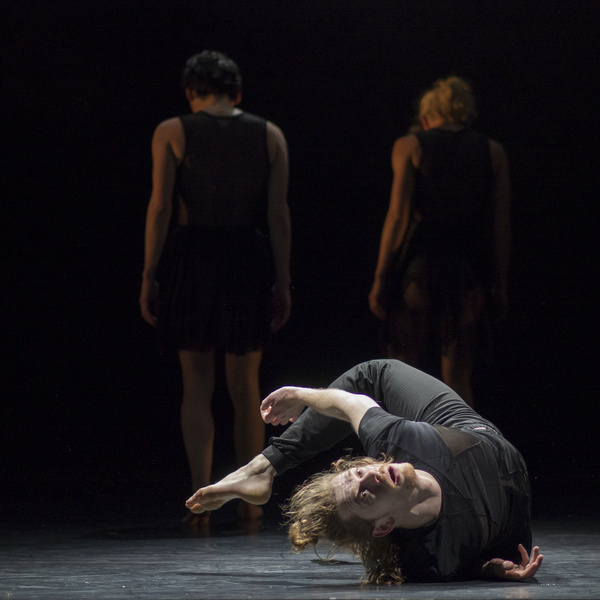 Choreographed by Craig Bary for Footnote New Zealand Dance, the work received a sold out season in Wellington, March 2014. "The work ends with a powerful and heart rendering scene performed with absolute commitment by Vescio", NZ choreographer Lyne Pringle writes for NZ Theatreview. Luigi collaborated daily with Craig to develop tasks that shape this improvised solo. Luigi co-created and performed in three original works for Footnote New Zealand Dance's NOW season (New Original Work). The program toured nationally in 2014. The following is an excerpt from Depends on You with dancers, Olivia McGregor, Manu Reynaud and Luigi (in red shirt).